Born Shepparton, Victoria, Australia. Lives in Melbourne, Victoria, Australia. Dr Drew Pettifer is an artist and academic who currently lectures in Art History and Theory and the Honours Program at RMIT University. Drew’s art practice explores themes of intimacy, gender, sexuality and queer politics using photography, video, installation and performance. His doctorate in Fine Art (Photomedia) focused on contemporary representations of masculinity and the queer gaze. Recent exhibitions of his work include: Look Both Ways, Kings, Melbourne (2017); Some Want Quietly, Daine Singer, Melbourne (2016); Less than Lovers, Utrecht, Tokyo (2015); Turnintensive, Kunstraum Tapir, Berlin (2014); and, Melbourne Now, National Gallery of Victoria (2013-14). Drew hosts the Australian contemporary art podcast FIELD WORK and works from time to time as an independent curator and writer. He is also a member of the Shepparton Art Museum Foundation Board of Directors and a peer assessor for the Australia Council for the Arts. His work is held in various collections, including the National Gallery of Victoria, Monash Gallery of Art and City of Melbourne’s Arts and Heritage Collection, as well as private collections. 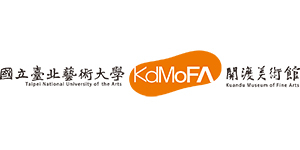 This project is supported by the Taipei National University of the Arts and the Kuandu Museum of Fine Arts.